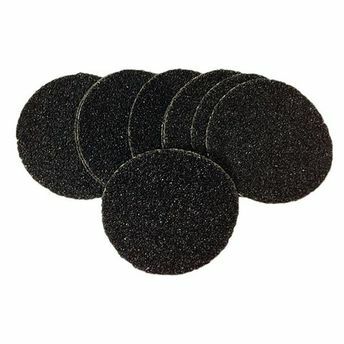 Disposable filing pads for Peditrix, for a perfect pedicure. It comes in 4 variants. Each variant is designed specifically to tackle a specific foot condition. Grit 180 is used for removing dead skin. Grit 120 is used for removing dead skin and budding cracks. Grit 80 is used for smoothening hardened dead skin and deep cracks and Grit 60 is used to smoothen hardened skin, deep cracks and corns. Ensure your clients a professional and hygienic exfoliating experience.